If you thought that Google and Nestle were unlikely bedfellows, just wait till you get a load of this one. Qualcomm wants a piece of the low-cost streaming entertainment pie, and they intend to bring an Android-powered set-top box (a la Google TV or Chromecast) to market. There's not much information available about the hardware, but it will be called SVELTE, it'll use a Snapdragon 600 processor and an LTE wireless radio, and it will be distributed by Technicolor. 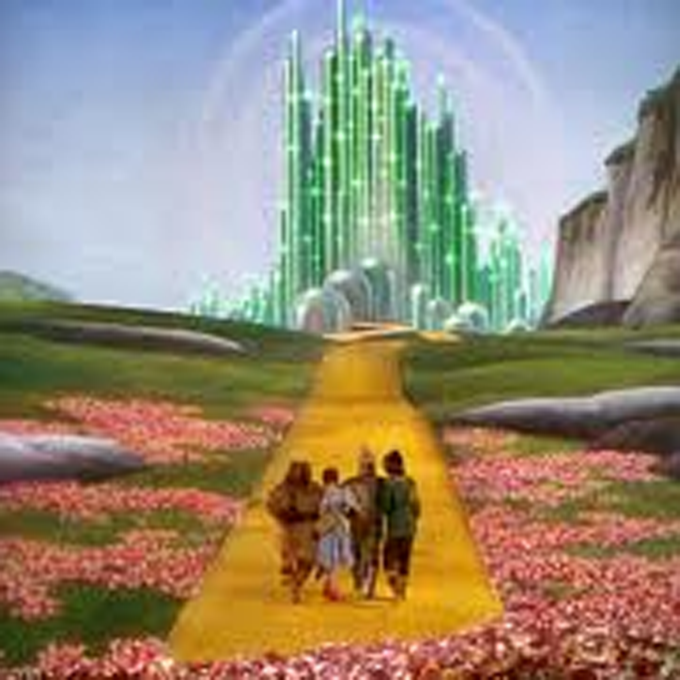 Yes, that Technicolor - the company that blew people's minds in 1939 with The Wizard of Oz and still shows up at the end of movie credits. Apparently they've been making a push into the low end of the consumer electronics market for the last few years by resurrecting the Thompson direct hardware brand from the 1980s. Technicolor's main business is still patents and licensing, but they provide professional video solutions for film production, TV and movie distribution, and a ton of other Business-to-Business stuff behind the entertainment industry. Technicolor is talking up its "core set-top box software assets [and] high quality Android deliveries" in the press release below, which I suppose includes one lonely little B2B app on the Play Store. Qualcomm and Technicolor aren't showing off SVELTE at the moment, and there's no word on when or where we might see the actual hardware. Neither company is talking about who will provide content for this set-top box, though it's always possible that they could market the hardware as an OEM solution for licensees. The push for LTE delivery is interesting, if only because it's also confusing. Wireless providers will make you pay out the nose for over-the-air media streaming, so perhaps this is intended to appeal to companies that already have both TV content and LTE spectrum, like Dish Network. AMSTERDAM, Sept. 12, 2013 /PRNewswire-FirstCall/ -- Technicolor, a worldwide technology leader in the media and entertainment sector, and Qualcomm Technologies, Inc., a wholly-owned subsidiary of Qualcomm Incorporated (NASDAQ: QCOM), have collaborated to produce a new set-top box, known as SVELTE (Stimulating Video Experience over LTE), featuring LTE technology, terrestrial broadcast and Android OS. A unique combination of the skills offered by entertainment leader, Technicolor, and the mobile expertise of Qualcomm Technologies, the new SVELTE portable media center will feature the Qualcomm® Snapdragon™ 600 processor to provide novel user experiences to television sets, which includes seamless connectivity, rich TV viewing experiences and console-quality gaming. Materializing LTE as a service and delivering true 3play over the cellular network, the SVELTE portable media center will empower new and improved experiences in the living room, redefining the "Smart TV" concept by enabling a hub for entertainment with optimal platform performance and compelling ways to watch, play and interact. SVELTE's LTE module allows for unicast content to complement broadcast content. "We are delighted to be at the forefront of service delivery over LTE. Bringing the snappiness of portable devices onto the TV screen is opening exciting new doors," said Michel Rahier, president of Connected Home, Technicolor. "Thanks to the Qualcomm Snapdragon processor, Technicolor had the opportunity to swiftly integrate its core set-top box software assets into high quality Android deliveries, reducing the time to market while focusing on the 10 foot screen experience." "Working with an entertainment leader like Technicolor has been a great and rewarding experience," said Raj Talluri, senior vice president of product management, Qualcomm Technologies, Inc. "This collaboration is a great way to demonstrate Technicolor's leadership in media and broadcast, as well as our technical leadership in connectivity and advanced media processors to deliver smarter and more connected experiences with the TV. We look forward to continuing our collaboration with Technicolor and working toward our aligned goals." Qualcomm Technologies' broad portfolio of Snapdragon chipsets feature industry-leading LTE multiband support designed for seamless connections to some of the fastest networks around the globe, which provides users the ability to download and share large files, as well as stream rich HD content. The Qualcomm Snapdragon 600 processor's leading graphics and rich multimedia capabilities deliver exceptional performance for the latest apps, games and advanced user interfaces.